On the back of the sale of the family owned, Teeling's Cooley distillery, sons Jack and Stephen setup and began distilling in the Liberties of Dublin in the summer of 2015. 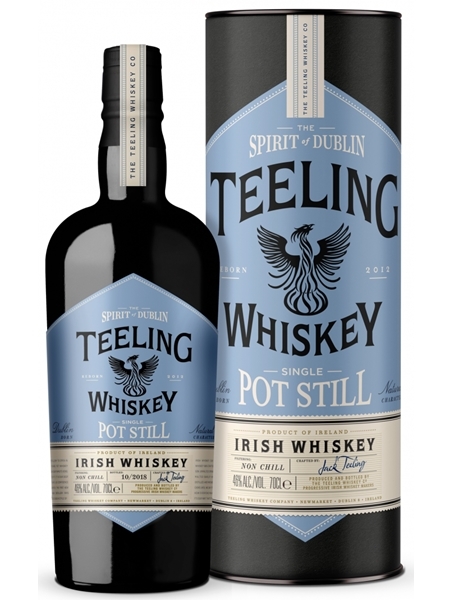 While there have been several releases in the past few years under the new Teeling Whiskey brand, this Single Pot Still is the first commercial release of spirit distilled in their new distillery, only becoming whiskey this year. It's a mash bill of 50% malted and 50% unmalted barley, matured in a combination of virgin oak, ex-wine and ex-bourbon barrels. It's non-chill filtered and released at 46% ABV.